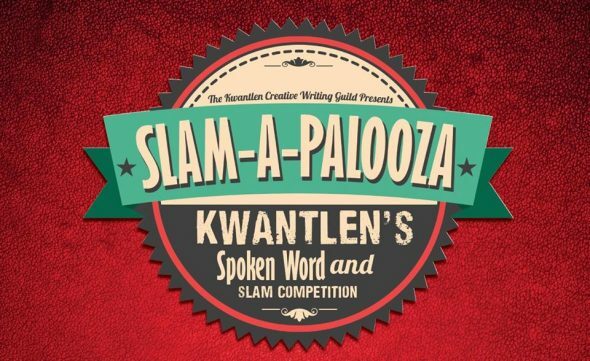 Kwantlen Polytechnic University’s poetry slam team, Slamapalooza, has received funding from the Kwantlen Student Association that will keep the team and the monthly slam competition alive for at least another year. The KSA decided to fund the slam at a Feb. 15 meeting of their Executive Committee, which Slamapalooza organizer and team coach Simon Massey attended as a guest. After Massey spoke on behalf of the slam, and what funding it would mean particularily for the creative writing students of KPU, $2,185 was released from the Clubs Support Funding line of the KSA’s budget. Jay Reedy, the KSA VP Student Life, says that he is happy to support the team as it is one of the primary avenues for the KSA to encourage creative writing and poetic performance in the students of KPU. “I definitely see the value in us having those outlets for the students that are interested. Being able to have a wide range of events for different tastes and interests is definitely something I support,” says Reedy. The Kwantlen Creative Writers Guild, KPU’s resident student club aimed at bringing creative writers across the school together, is one of approximately 30 student organizations that the KSA supports. It is the body that oversees the slam, and its members typically take part in the competition. Each Slamapalooza event is divided between an open mic, a poetry slam competition, and a featured performer. Students and non-students alike are allowed to take part in the competition, and each year the highest-scoring poets make up the Slamapalooza team, which goes on to perform at the Canadian Festival of Spoken Word. In the past the team has done well, even making it to the festival’s semi-finals in 2014. With the funding comes a few changes to how the Slamapalooza event is held. Instead of taking place in the Grassroots Cafe on the Surrey campus, it will be held in the newly renovated Birch building. While there is plenty of seating in this space, and the venue is considerably quieter than the Grassroots, there is no stage for the poets to perform on. The result is a more intimate event, though with less of a chance for students unfamiliar with the slam to hear the poets and drop by. Despite this, Jay Reedy says that the KSA has “got a lot of positive feedback from the organizers” about the new venue. For more information about the Kwantlen Creative Writing Guild and Slamapalooza, check out their respective pages on Facebook.